Mr René JEAN decided in 1925 to set up his own factory to produce solid board. This project was achieved in 1927. 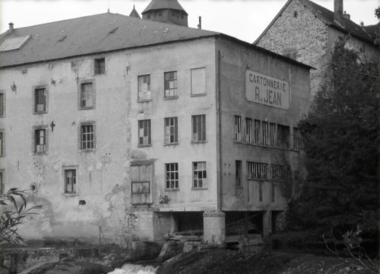 To supply the local shoe industries (widely established in Limousin area at this period) the company started production with a mill stone ; two refiners and a millboard machine (manual cutting). Motrice power was mechanical and later on thermo electrical. Company invested in a goal boiler and a drier. Production was about 5 Tons a day. 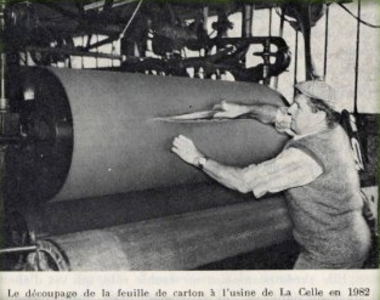 The present production ( 25 Tons per day ) started in 1972 with an automatic new machine. In 1996 Cartonnerie Jean invested in a second machine to produce continuous board and develop coloured boards production.